You are not dreaming! Almost 2 acres of land with 218 feet of frontage on Little Lake Howell AKA Lake Tuscawilla. This is a whole lot of house for the money! If you are looking for the perfect place to live in your dream home while allowing your in-laws to maintain their complete independence yet be just down the hall from you, this IS YOUR CHANCE to make those dreams come true! This unique home needs little TLC to move in and make your morning views of the pool and water views a reality. SOLAR everything, 2 kitchens, 2 family rooms, 2 dining rooms, 2 lanai, 2 fireplaces, 2 foyers, 2 master suites, 2 laundry rooms, 2 storage rooms off the carport, 2 sheds and plenty of storage throughout! Central vac system, gorgeous wood flooring throughout, most rooms with amazing views of the pool and the lake. /The floor plan is perfect and flows so nicely from the main house to the in-law suite/guest house. You have to see it to believe it. Call today for a private showing. Please, send me more information on this property: MLS# O5738351 – $899,500 – 4814 E Lake Dr, Winter Springs, FL 32708. 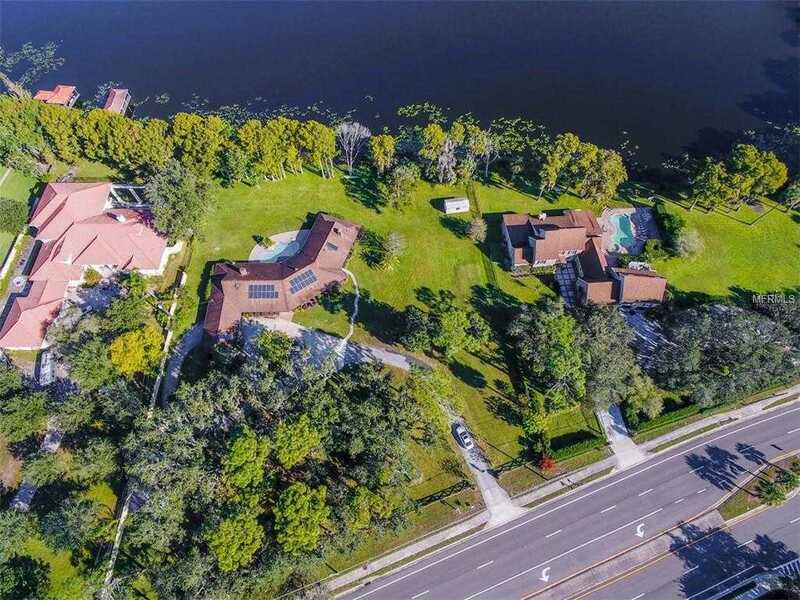 I would like to schedule a private showing for this property: MLS# O5738351 – $899,500 – 4814 E Lake Dr, Winter Springs, FL 32708.